Each Kit contains 6 pair of premium polarized sunglasses and 60 “Get Hooked” window stickers. 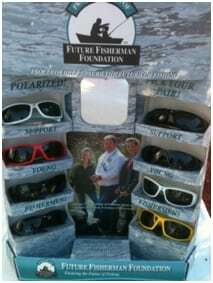 Retail Price point for the glasses is $19.99 making them a great deal and window stickers sell for $2.99 each. Sell the kit contents at your Point of Purchase and earn a profit margin of almost 50 % on the initial order. (Margins increase with re-order as the display remains at your check-out counter) If the product does not sell simply return the contents for a refund. Your only cost is the return shipping. 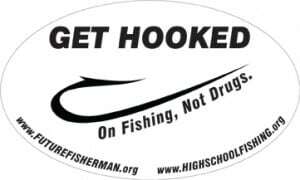 Help us continue to fund programs like Hooked on Fishing Not on Drugs while earning a profit for your company!